At last count, the Small Business Administration estimates that almost 30 million registered small businesses exist today and many more operate under the radar. What that means for your small to medium-sized organization is that it’s extremely important to maintain a lean structure, optimize your processes, and invest your resources in things that will allow you to maximize your impact on the market. But how exactly does an organization go about doing that? One of the most popular methods for achieving that end, especially in today’s tech-focused age is to outsource technical support. If your business relies on technology on a daily basis, below are 5 signs that you could benefit from outsourcing your IT needs. If you run a small business, chances are you’re looking for ways to cut costs. If you’re not looking for ways to cut costs, frankly, you should be. Every dollar spent in excess on a particular expense is a dollar lost that you could be investing in exploring new products, marketing your company, and cementing your organization deeper into consumer’s consciousness. When you outsource technical support, you’ll be off the hook when it comes to paying an internal IT person anywhere from $46,000 – $80,000 per year. You’ll also dodge the need to give that employee paid time off and pay into their benefits package. Anyone who has worked in corporate America has experienced at one point or another the introduction of a new software update or a new piece of hardware that, at least when it first arrived, slowed things down. Questions like “How do we use this?” or “How does this integrate into our workflows?” swirl around the workplace and what’s worst is that your internal IT person still needs to attend training to understand the change themselves. When you outsource technical support, you’ll benefit from the perspective of multiple IT professionals. Many of those professionals will have gotten out in front of today’s newest advances and will be able to help you be productive right out of the gate. If you’re a small business who specializes in providing legal services, there’s no reason why you should be spreading yourself (or your wallet) thin also trying to specialize in managing day-to-day IT problems. 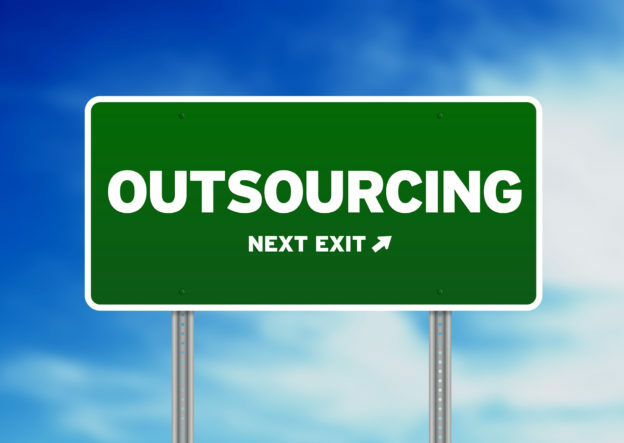 Outsourcing technical support means your office stays focused on practicing what you do best and an external team can focus on extraneous subjects like tech. The cost of a data breach is estimated to be almost 4 million dollars for a business. If you’re trusting IT, and consequently, the protection of your customer’s and company’s data to an internal tech novice, you are putting yourself at risk. With an external team of IT professionals, you not only outsource your IT tasks but your IT risk which reduces your liability and also strengthens your security. Every point we’ve listed above supports one massive end-goal… to be as competitive as you can stay competitive in an impacted marketplace. If our write-up above has inspired you to outsource technical support, our team is here to help! At Advanced Micro-Electronics, we’ve dedicated years of our time and resources to helping businesses just like yours get past their technical issues and get ahead of their competition. Learn more about the value we can bring to your company by contacting us for your free IT consult!